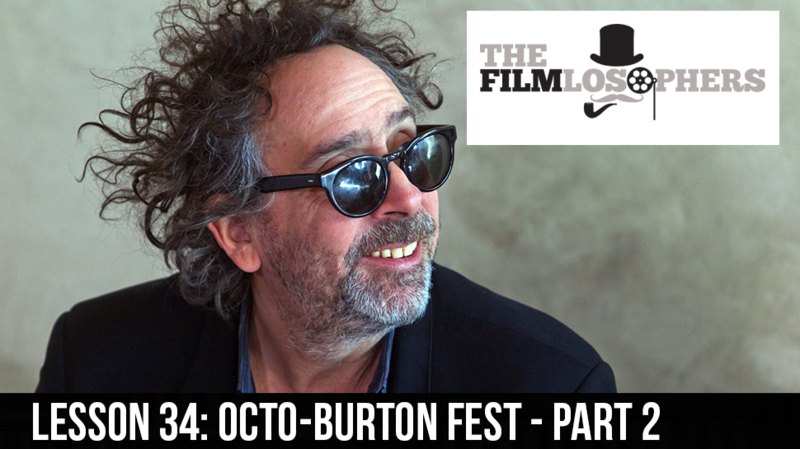 The Filmlosophers, Eddie Villanueva and Chad Riley, spend the last week of October discussing the other half of the distinctive style of Tim Burton – live-action films! From his first ‘”interesting” efforts with his short film made in the early ’80s to discussing his directorial debut with Pee Wee’s Big Adventure (1985), the duo discuss Burton’s uncanny ability to create incredible live-action films. His cult classic status would be attained with his comic-book adaptation of Batman (1989), giving the world a glimpse at the creative genius that Burton would birth from, bringing forth outstanding films such as Edward Scissorhands (1990) and his deep and moving film, Big Fish (2003). News items in this episode include a discussion of recently released trailers, including Guardians of the Galaxy: Vol.2, Logan, and Man Down, the new musical clip from Disney’s Moana (2016), and the latest Honest Trailer on The Nightmare Before Christmas (1993). Also, check out our Halloween Candy review of the quintessential Halloween film, Halloween (1978).